« gud from Burt’s Bees Orange Petalooza Shampoo, Conditioner and Body Wash Smells Oh So Yummy! Being an adolescent in today's world is tough...much tougher I'm afraid than it was when I was a kid. Unfortunately, our society seems to become more and more kid-unfriendly by the day, and if you also happen to be a child who doesn't have the best home life, you might think the future is indeed bleak. That's why I'm thankful that the Boys & Girls Clubs of America provide a buoy of positive influence in a sea of adversity for these deserving youths. Now thanks to the Tools for Back to School initiative, everybody can win! Simply test your back to school knowledge and help a child in need earn free school supplies. Keep reading to learn more! 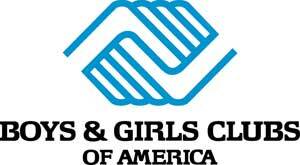 For more than a century, local Boys & Girls Clubs have helped put young people on the path to great futures. Boys & Girls Clubs annually serve nearly 4 million young people, through membership and community outreach, in some 4,000 Club facilities throughout the country and BGCA-affiliated Youth Centers on U.S. military installations worldwide. Now, you can help these deserving children get ready for the upcoming school year by taking advantage of the Tools for Back to School program. It couldn't be easier either! Boys & Girls Clubs of America is proud to partner with Disney to launch their online school supply drive. From August 1st to September 30th, you can participate in a pop quiz-style game where playing equals giving. For every five correct answers, a donation of supplies will be made to a Boys & Girls Club member. Club youth will receive up to 30,500 supplies, including folders, books and pencil kits.You'll learn a thing or two about this deserving community program as well as help a child start off the school year on a great note. JC Penney is also getting in on the fun by helping to inspire and empower our nation's youth via the Boys & Girls Clubs of America. Simply visit your local JC Penney during the month of August, join jcp cares, and round up your purchase at the register. A percentage of your purchase will go directly to help the Boys & Girls Clubs. Almost $1 million dollars has been raised so far!